Despite the increased exposure health and safety has in the media and high profile education campaigns by the Government, I continue to see workplaces with a bad culture surrounding safety. There are still many in the Construction industry that struggle with breaking down the peer group pressure to have a tough image and show off about work injuries. It can no longer be just a laughing matter that an employee accidently nail gunned his foot to the floor or fell from a scaffolding because they were ‘too cool’ to wear a harness. In a recent decision of the NSW Industrial Commission, a demolition company was fined $300,000 and its director was fined $30,000 for ‘knowingly and deliberately disregarding’ the need to provide safety harnesses for all employees working at heights, and ensuring that the employees wore them. While these penalty figures are sobering, the new legislation will allow for even higher penalties and expose more people in the workforce to risk of penalties. 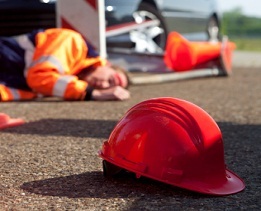 If you have a bad culture surrounding workplace safety, the solution starts at the top and the time for change is now! The risk of allowing it to continue could be costly, or worse still, result in loss of your liberty.